Now we’re offering a new, improved version as a set of 18. 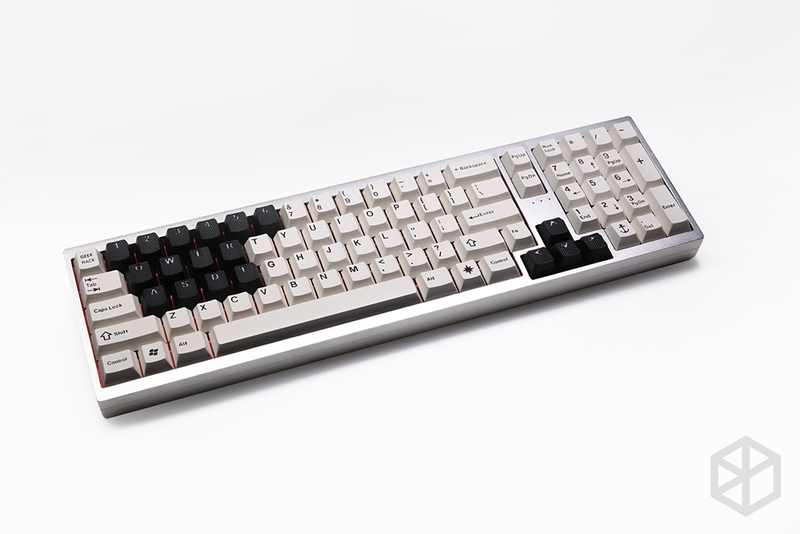 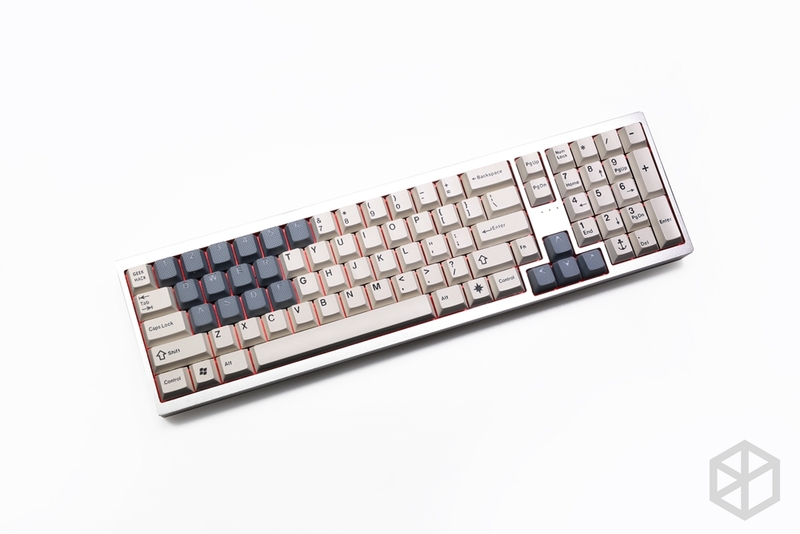 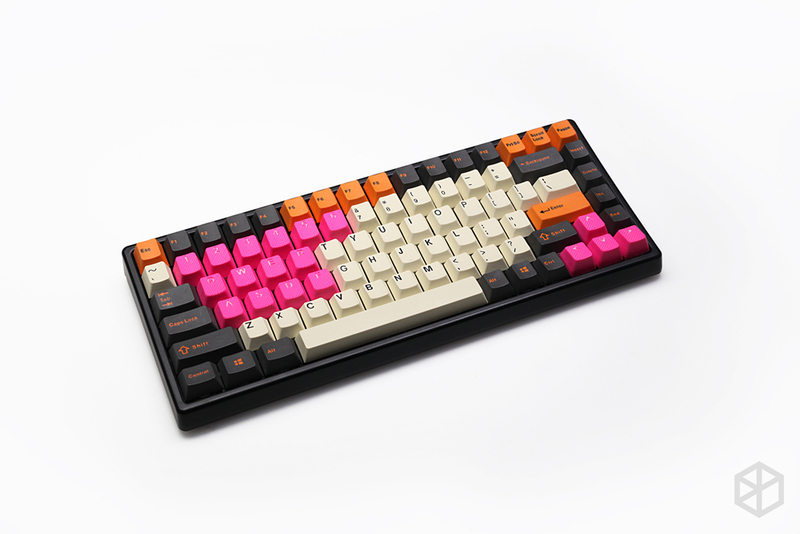 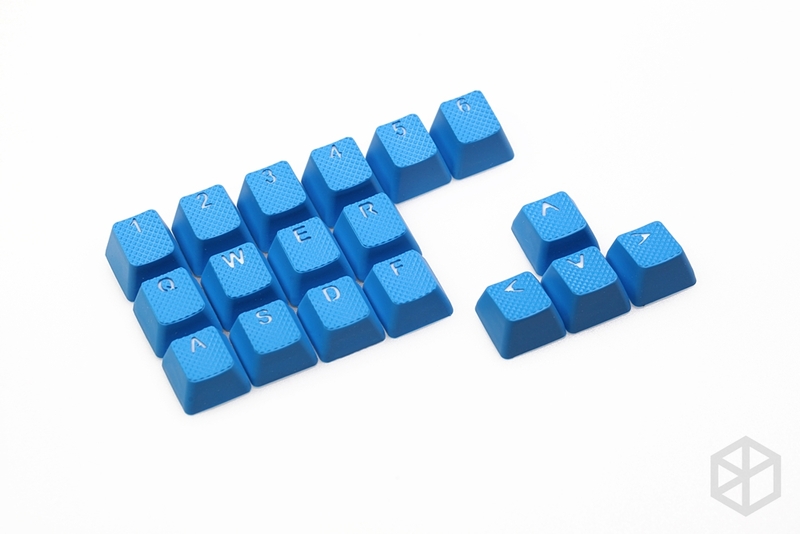 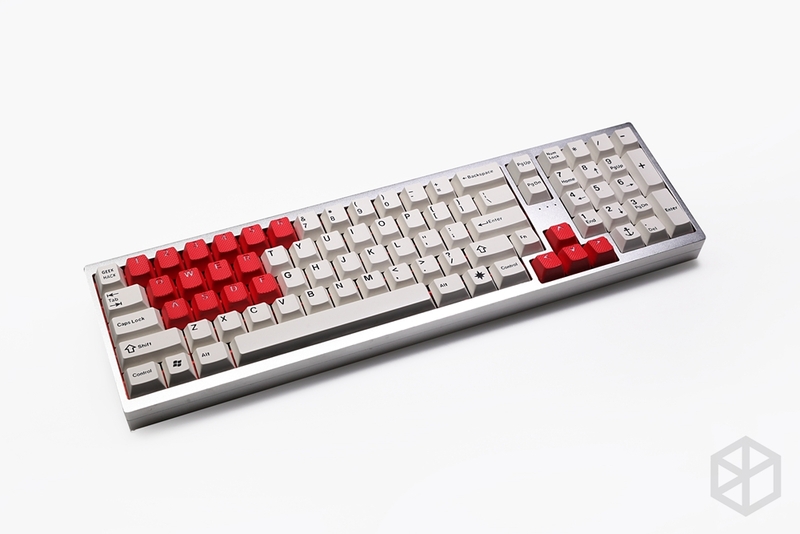 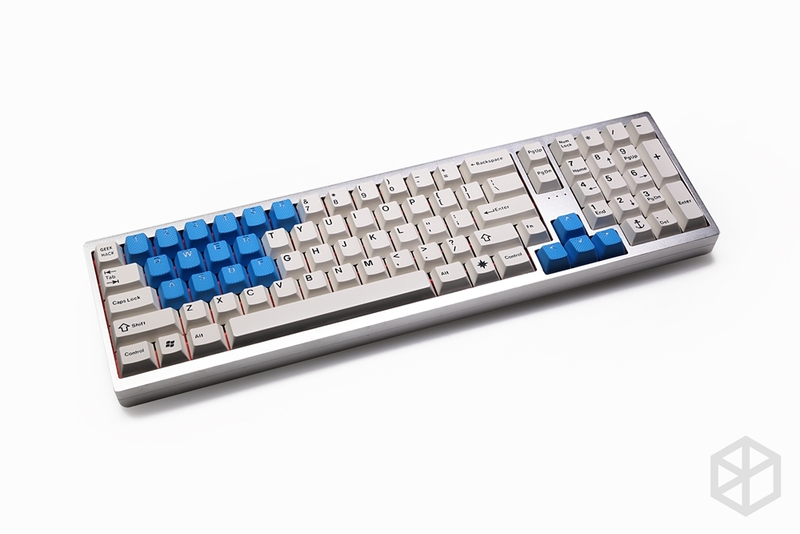 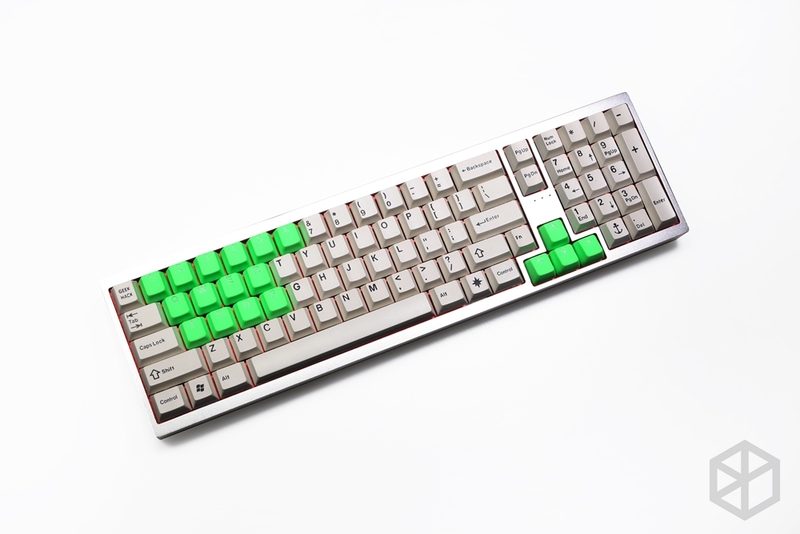 These doubleshot shine-through keycaps feature a rubberized finish with a non-slip diamond texture. Offering intuitive finger positioning, the set consists of numerals 1 through 6, four arrow keys, Q, W, E, R, A, S, D, and F in a sharper font. 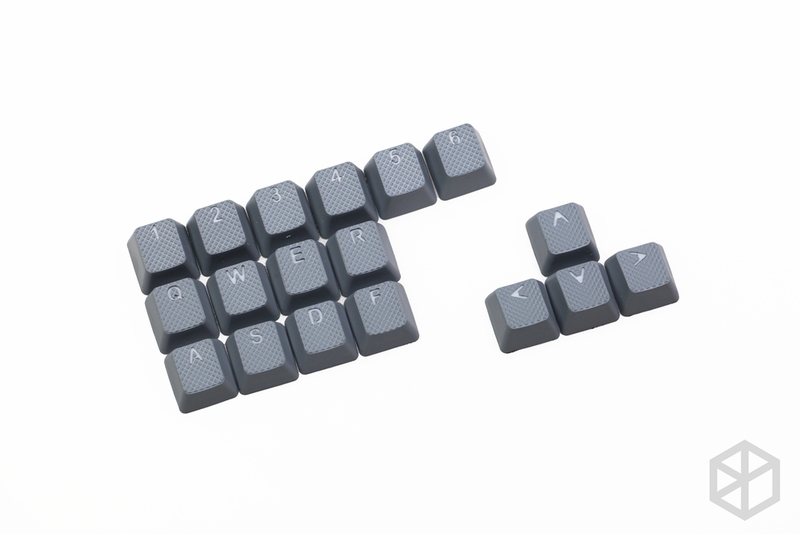 Also included is a key puller. 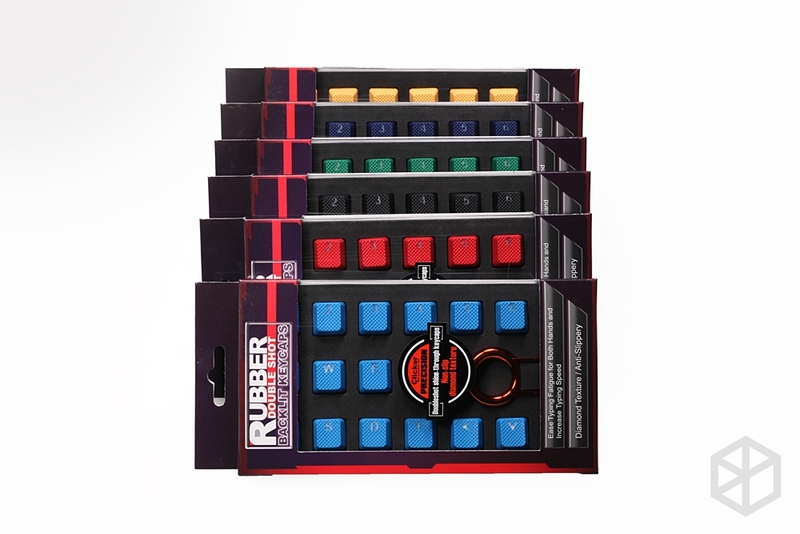 The durability of rubber materials is influenced by several environmental factors. 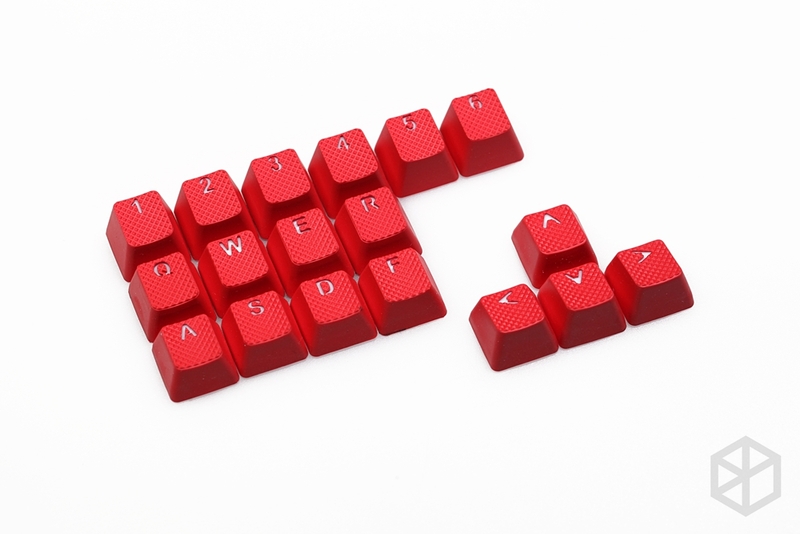 It depends on how and in what way users rub the keycaps. 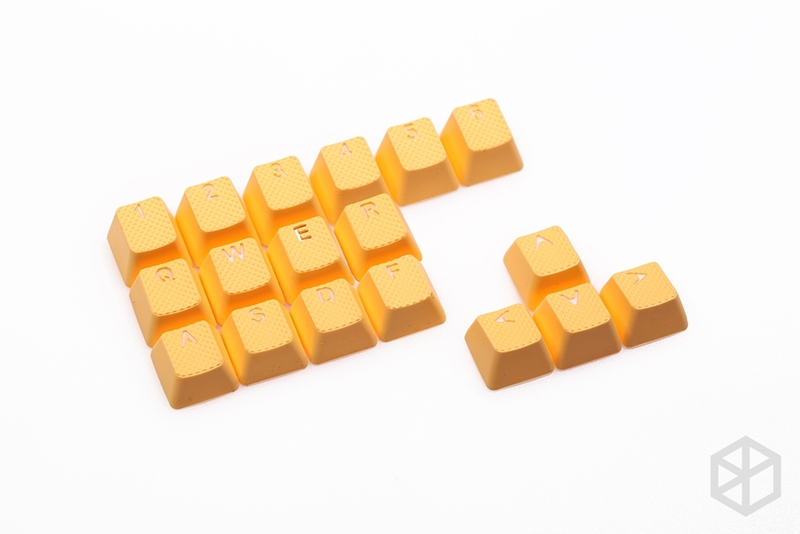 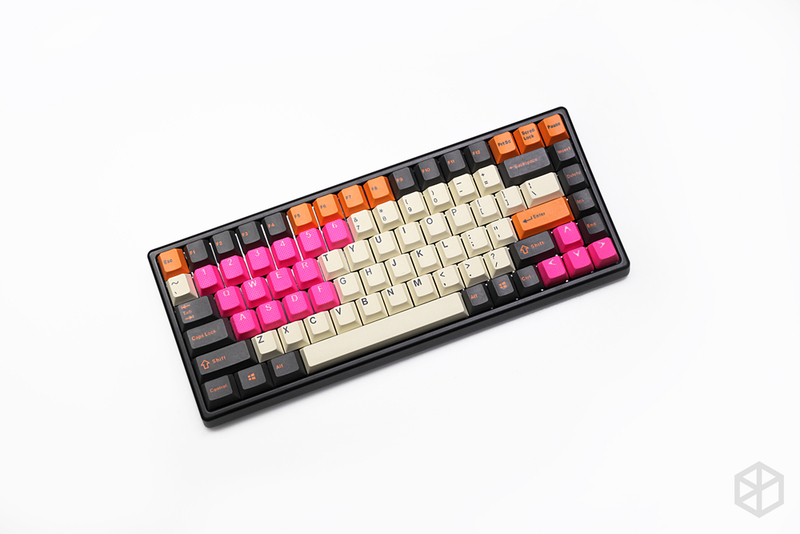 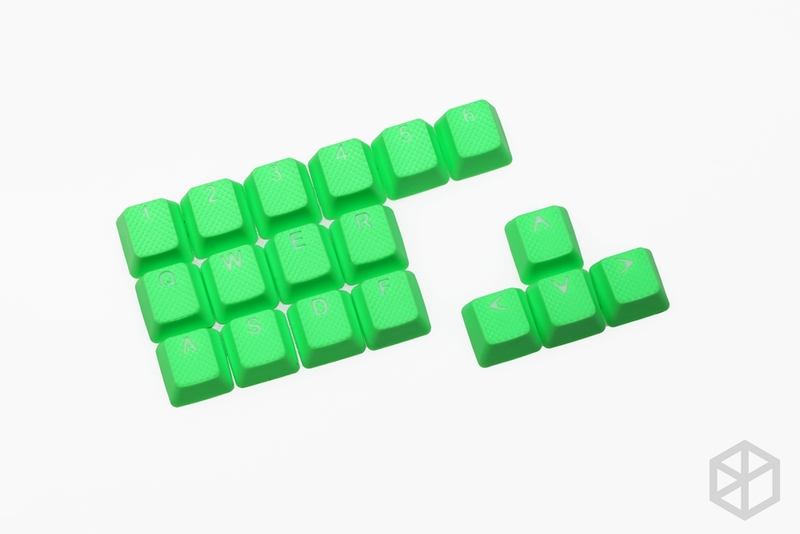 Unlike normal ABS and PBT plastic keycaps, rubber keycaps need more care because of its material property.